http://mikefinn.booklikes.com Mike Finn 3.0 "Glass Houses - Morganville Vampires #1" by Rachel Caine - a YA vampire tale that is heavy on cute and light on reality. 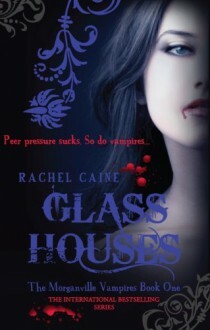 text "Glass Houses - Morganville Vampires #1" by Rachel Caine - a YA vampire tale that is heavy on cute and light on reality. http://DemonessTenebrae.booklikes.com DemonessTenebrae 4.0 One of the best books I've read in a while ! text One of the best books I've read in a while !